Following the Civil War, Colfax, Louisiana, was a town like many where African Americans and whites mingled uneasily. But on April 13, 1873, a small army of white ex–Confederate soldiers, enraged after attempts by freedmen to assert their new rights, killed more than sixty African Americans who had occupied a courthouse. Seeking justice for the slain, one brave U.S. attorney, James Beckwith, risked his life and career to investigate and punish the perpetrators—but they all went free. What followed was a series of courtroom dramas that culminated at the Supreme Court, where the justices' verdict compromised the victories of the Civil War and left Southern blacks at the mercy of violent whites for generations. The Day Freedom Died is a riveting historical saga that captures a gallery of characters from presidents to townspeople, and re-creates the bloody days of Reconstruction, when the often brutal struggle for equality moved from the battlefield into communities across the nation. 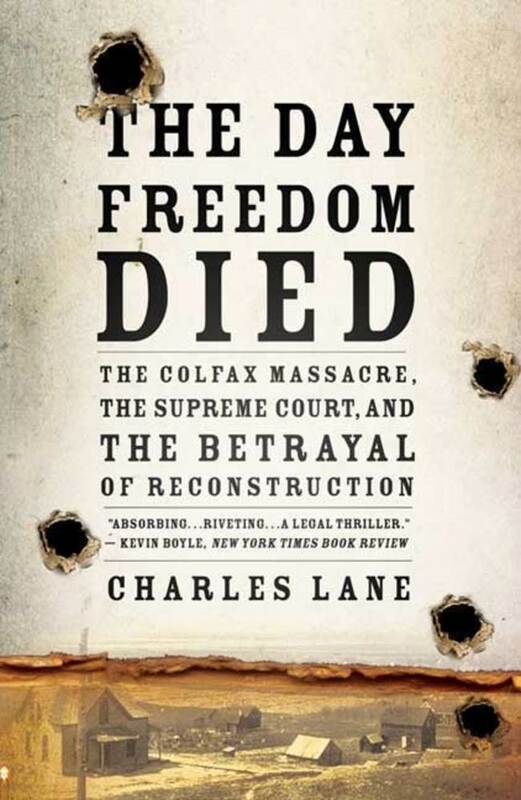 Charles Lane learned about the Colfax Massacre case while covering the Supreme Court for The Washington Post. A former correspondent for Newsweek and editor of The New Republic, Lane has reported from Japan, Latin America, Europe, and southern Africa. His essays have appeared in Foreign Affairs, The New York Review of Books, and The Atlantic. He graduated Phi Beta Kappa from Harvard and studied law at Yale. He lives in the Washington, D.C., area.